Bengal tigers, African lions, cougars, cheetahs and grizzly bears on the loose forced school closings around Zanesville, Ohio, Wednesday. The owner of 56 exotic animals, apparently fearing that he might have to return to jail, released them from their cages and committed suicide. He had just served a year in prison for possessing illegal firearms discovered in 2008 in a raid that netted 133 weapons. Muskingum County Sheriff Matt Lutz told the Zanesville Times-Recorder that deputies had killed 48 of the animals and captured six. A monkey believed to be diseased remained at large. West Muskingum, Zanesville, Maysville and Foxfire schools were closed for the day as were many businesses. Residents were urged to stay inside. Of those killed, 18 were endangered Bengal tigers, the sheriff said. Owner Terry Thompson apparently had been depressed and released the animals just before nightfall. 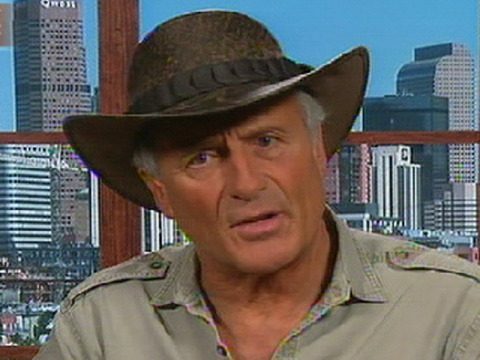 When reports started coming in of roaming lions and tigers, the sheriff’s office made a quick decision that was backed by TV personality Jack Hanna of the Columbus Zoo. He said human life easily could have been lost if the animals had been allowed to disperse across the county in the dark. Most were killed by deputies with assault rifles at the Thompson farm before nightfall. When a zoo veterinarian attempted to shoot one large tiger with a tranquilizer gun, the jungle cat turned on him and was killed by a deputy. Hanna had no criticism of deputies’ actions. He said deputies were justified in killing the animals rather than letting them escape into the countryside as night was beginning to fall. Thompson apparently was depressed over new regulations that threatened his private game refuge. All the animals — which Thompson considered pets — were confined to small cages and were not made available to the viewing public. Thompson had just been released after a year in prison on federal counts of possessing illegal firearms. Agents with the federal Bureau of Alcohol, Tobacco, Firearms and Explosives seized 133 weapons, according to the Zanesville newspaper. The Columbus Zoo and the Muskingum County Humane Society had visited the property after receiving complaints about the condition of the animals. According to Muskingum County court records, Thompson had 11 misdemeanor animal charges filed against him between 2004 and 2009. Here is a video of Hanna as he talked by phone to a Columbus TV station while en route to the scene.